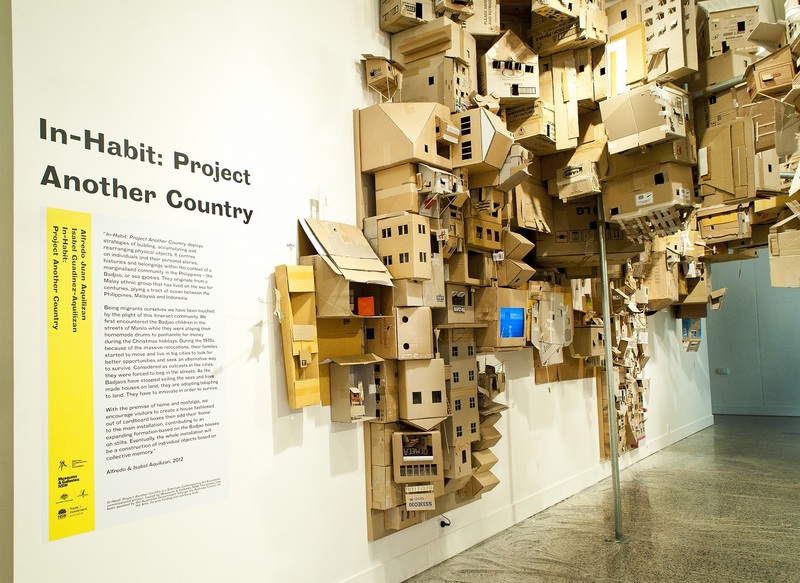 In-Habit: Project Another Country, installation view Bathurst Regional Art Gallery, 2014. Photography by Clare Lewis. Image courtesy Bathurst Regional Art Gallery. 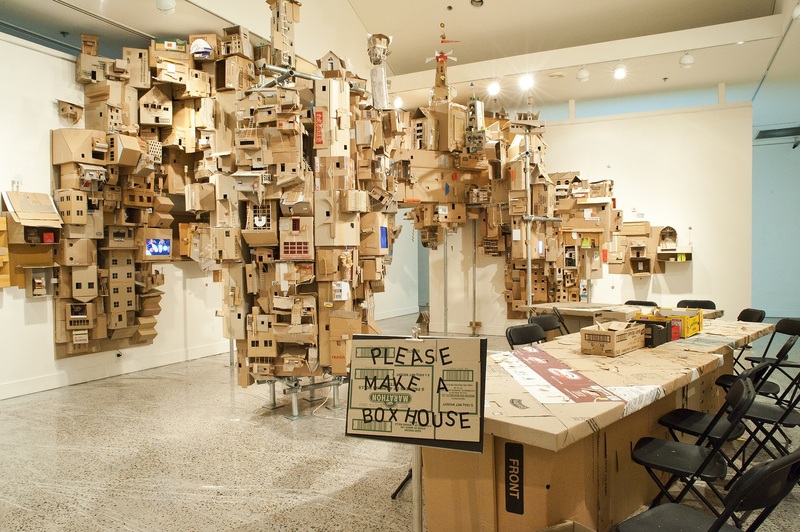 In-Habit: Project Another Country, installation view Lake Macquarie City Art Gallery, 2013. Image courtesy of the artist. Commissioned by Sherman Contemporary Art Foundation, Sydney, 2012. In-Habit: Project Another Country, commissioned by Sherman Contemporary Art Foundation, was a contemporary art project by Filipino-born, Brisbane based artists, Isabel and Alfredo Aquilizan. Considering the idea of ‘place’, the Aquilizans presented a participatory exhibition that addresses themes of journey and diaspora; settlement and resettlement; home and land; plight and displacement. The husband-and-wife team create works that use the processes of collecting and collaborating to express ideas of migration, family and memory. Often working with local communities and conducting art-making workshops, the Aquilizans compose elaborate, formal installations reflecting individual experiences of dislocation and change. 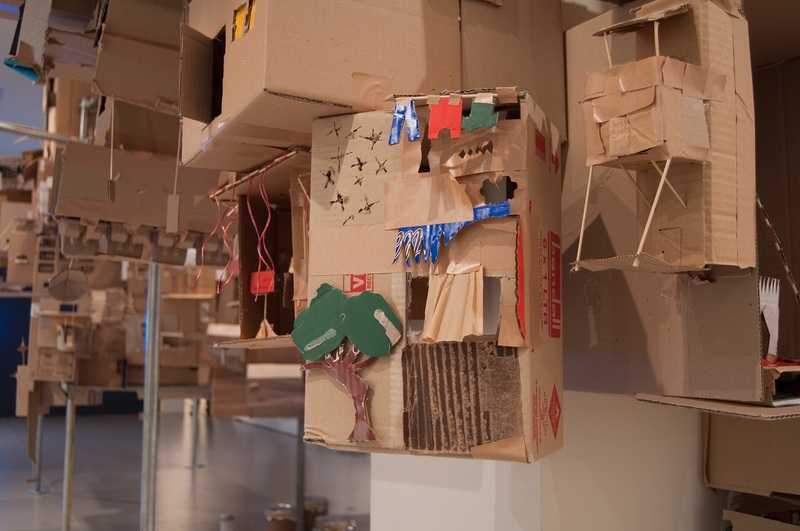 In-Habit: Project Another Country presented two separate but interconnected works that focus on engagement and interactivity with the local community, particularly with children. Accompanying the interactive installation was a multi-channel video work focusing on the Badjao children, a minority group in the Philippines. The Aquilizan’s documented this marginalised community bound by poverty, and how these children manage to transform everyday complications and difficulties into creative energy. 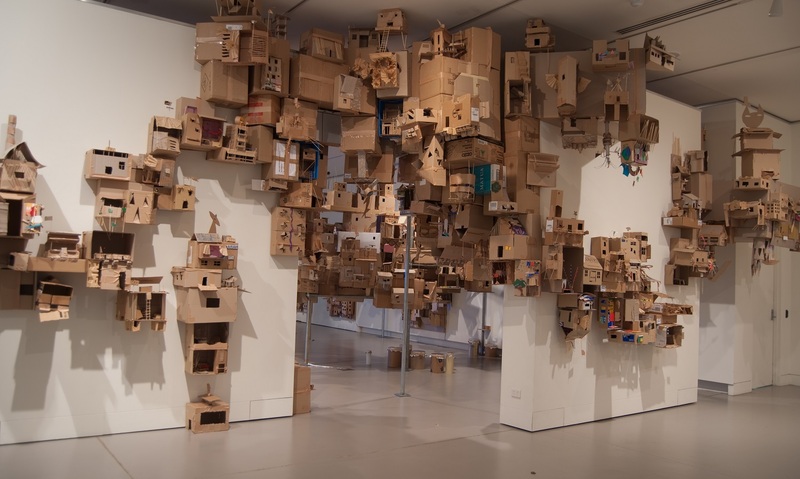 In addressing ideas around journey and diaspora, settlements/resettlements, home/land, plights and displacement, In-Habit: Project Another Country reflected the Aquilizans’ personal experience of migrating from the Philippines to Australia, while conveying points of exchange and communication that extend beyond borders. A Sherman Contemporary Art Foundation commissioned project, toured by Museums & Galleries of NSW. This project has been assisted by the Australian Government through the Australia Council for the Arts, its arts funding and advisory body.